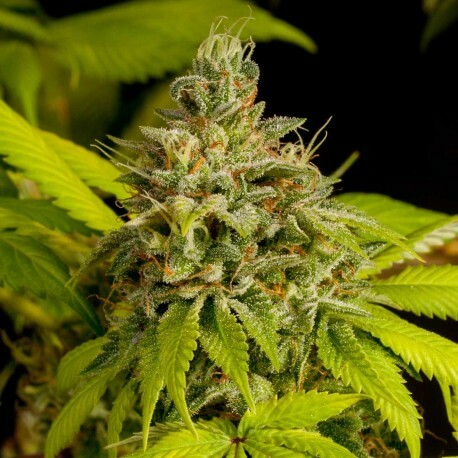 Skunk Autoflowering feminized mostly has Indica properties which quickly goes into the flowering stage and has a good portion of resin all over the buds. Not only has the Skunk Autoflower a great level of THC but thanks to her Indica properties the CBD level is also big. This provides a long period of feeling stoned and gives a good high as well. It tastes spicy with a nice after taste. Skunk Autoflower, strong in indica properties, makes it easier to get the best results, thanks to the reliability of the Skunk family. It sets high standards for uniform, fast, and high yield. It’s an auto-flowering hybrid that enters the flowering stage pretty quickly and gets covered with a considerable portion of resin all over the buds. Its excellent genetic structure has influenced many of the modern hybrids today. The powerful, reliable, and consistent genome of Skunk #1 has been bred with auto cannabis ruderalis cultivar for creating Skunk Autoflower, which is a nicely yielding, and robust strain. Flowering starts automatically after around six weeks of vegetative growth or so. Its aroma is obviously Skunky – pungent, sweet, and mouth-watering! Skunk autoflower has high THC levels and CBD levels, thanks to its indica dominant properties. Such high levels give a long period of stoned feeling and a good high also. The potency of this family of cannabis is so well-known that ‘skunk’ is the name that is often used to refer to all kinds of powerful marijuana. The buds taste spicy with a pleasant after-taste. Skunk Autoflower should undoubtedly be the first consideration on the list for beginners due to its easy-growing properties. Experienced growers also come back to buy these seeds because they know how capable and productive the yield really is. I am located in southeaster Massachusetts on the coast, can be humid and cool. Is this a good choice for out door growing in a pot?